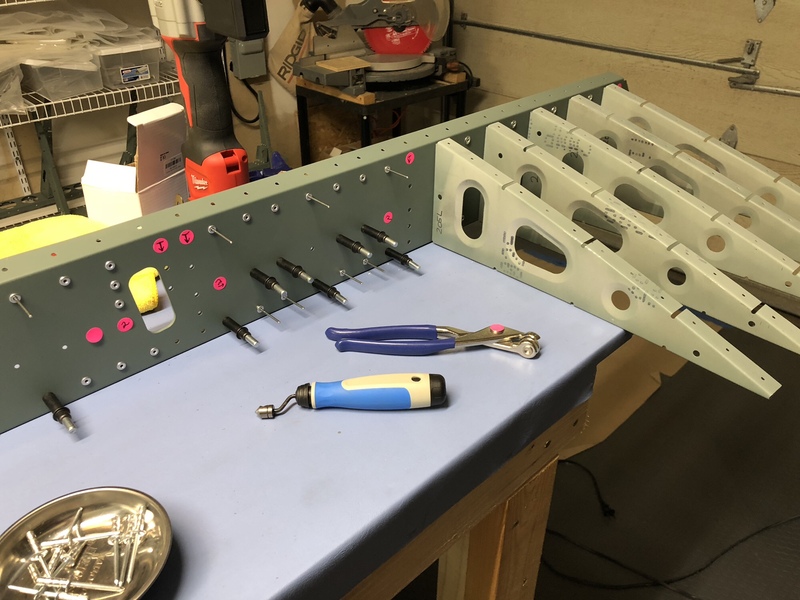 Got started on the aux wing spar late last week and into the weekend, it’s coming along pretty well. 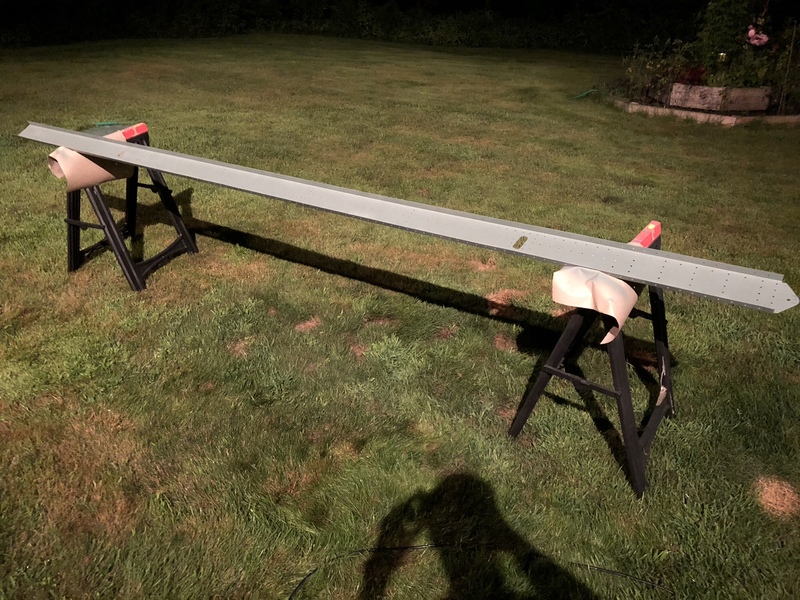 I ran out of the primer that I was using (SEM), so I had to use some backup primer (Rustoleum) for the wing skin support bracket – it’s not as pretty, but it gets the job done. A fresh case of SEM showed up Friday, so I’m ready for more parts. 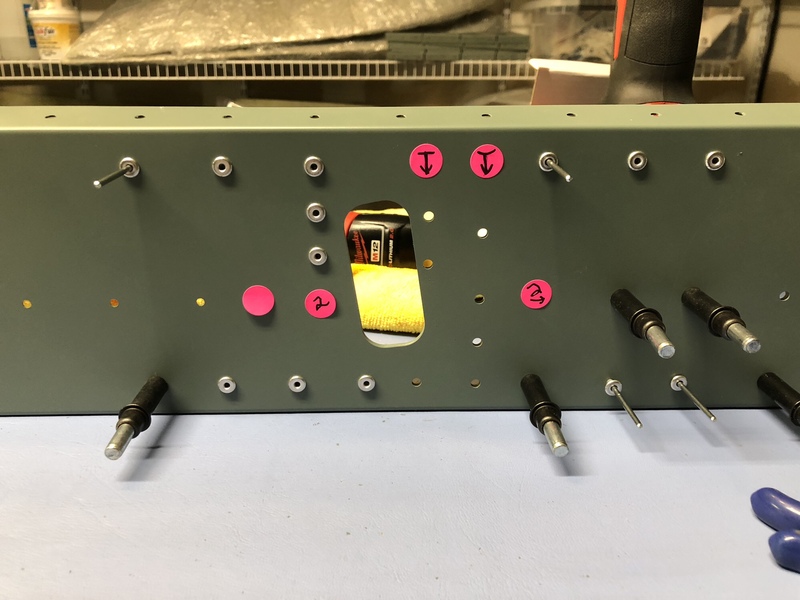 I used little sticker dots to mark off holes that don’t get rivets yet – ribs get attached to these locations in the next step. 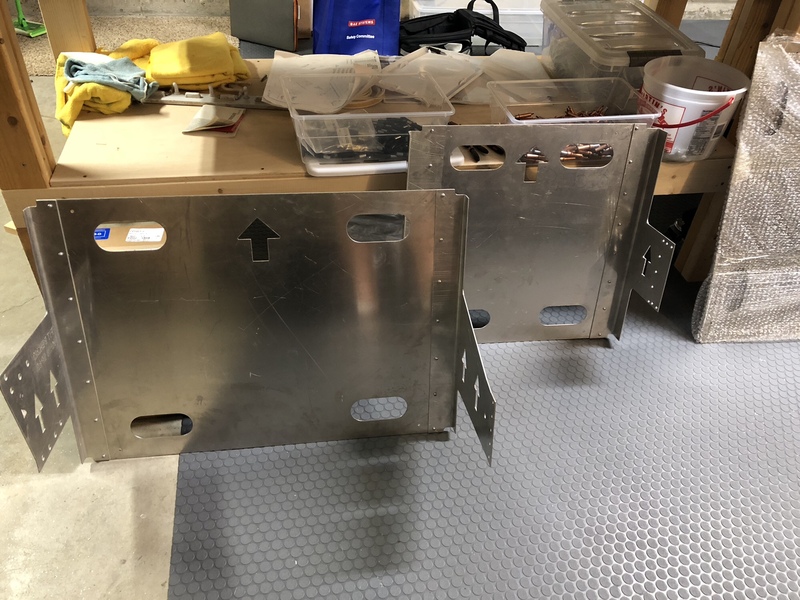 Looks like some may be tight fits to get the rivet tool into, should be interesting. Tonight I put together these tooling jigs that go on either end of the wing structure – they call them “wing twists” in the build manual. I’m thankful I don’t have to prep and prime these!